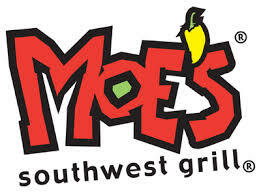 The Arc Mid-South: Give Back Night at Moe's Southwest Grill - 2 nights! Give Back Night at Moe's Southwest Grill - 2 nights! Enjoy a great meal and support The Arc Mid-South at the same time! Moe's Southwest Grill will be hosting two Give Back Nights to benefit The Arc Mid-South on December 17th and February 18th! When you eat at Moe's between 5:00 p.m. and 9:00 p.m. on either of these dates, 15% of your purchase will go to support The Arc Mid-South. For more information, please contact (901) 327-2473. Come out and join us and support a great cause while having fun!